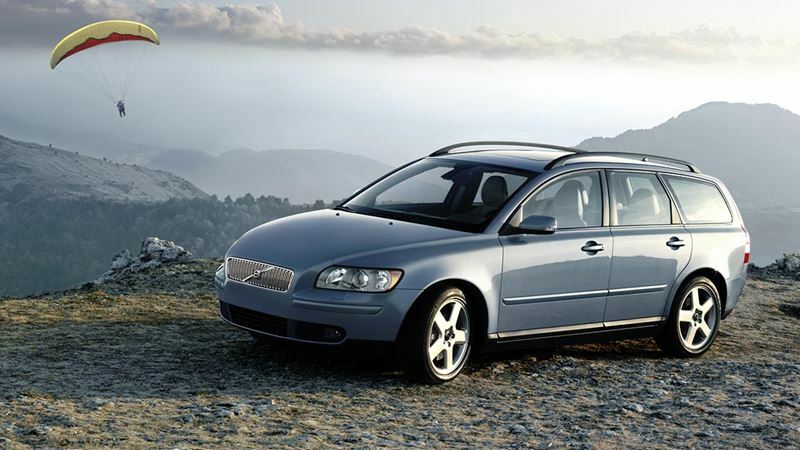 Just before the end of 2003, the new Volvo V50 was launched. The Volvo V50 was the replacement for the Volvo V40 which was launched in 1995. The exterior design of the new Volvo V50 had a clear Volvo identity and the interior showed an influence of clean, crisp Scandinavian design. The Volvo V50 continued the strong Volvo heritage as a manufacturer of estate cars, something that was highlighted by the shape of the rear of the car and also the high mounted tail lamps. Torsion stiffness was increased by almost 70% and contributes to a high level of safety. Concerning safety, the Volvo V50 got a new, patented front structure with several crumple zones for increased protection of the occupants. Another interesting element was the availability of a five cylinder petrol engine and also the possibility to get Volvo V50 with all-wheel drive.